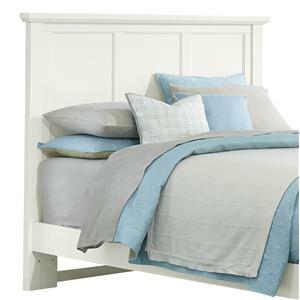 The Dover headboard is a comfortable room accent with a subtle, casual shape. 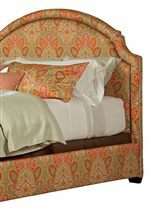 Lay back and enjoy a little reading or TV before bedtime with the softly upholstered headboard. A slightly curved crown, akin to a camel-back sofa, adds a bit of visual appeal to your look. Customize your headboard with any of our 600 designer fabric choices to create the bedroom you've always dreamed of. This headboard can be used with any metal bed frame, or Kincaid's upholstered footboard and siderails. 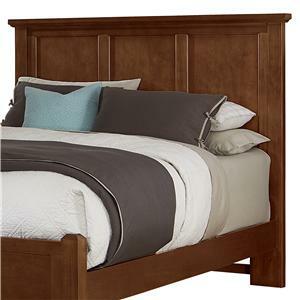 Headboard is available in twin, full, queen, king, and california king sizes. The Upholstered Beds Dover King Headboard by Kincaid Furniture at Godby Home Furnishings in the Noblesville, Carmel, Avon, Indianapolis, Indiana area. Product availability may vary. Contact us for the most current availability on this product.